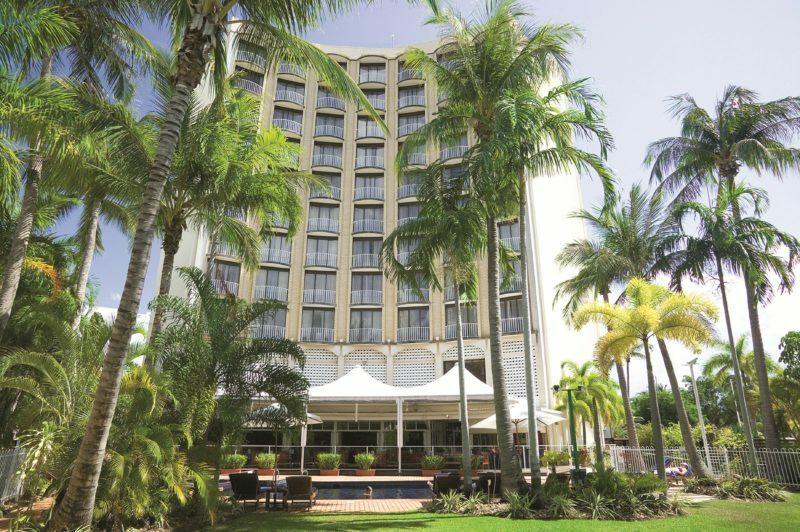 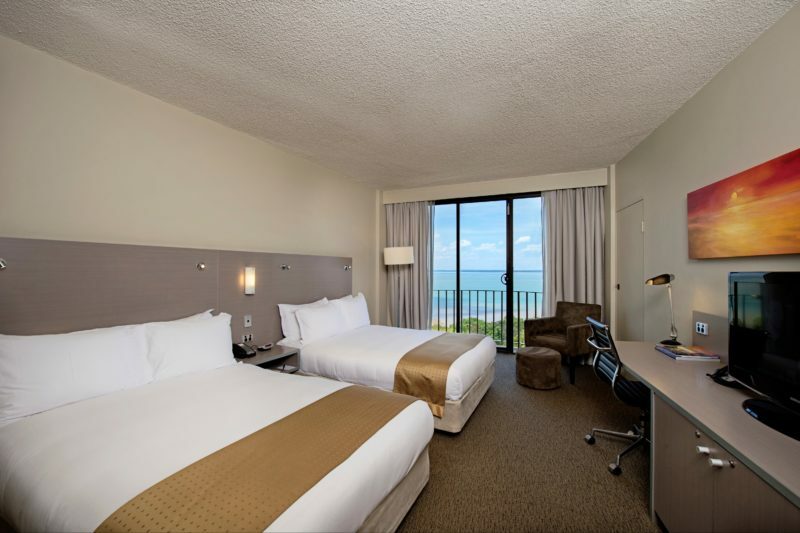 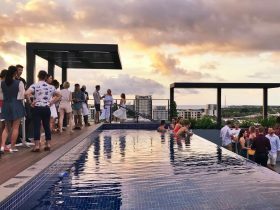 Positioned at the end of Darwin’s picturesque Esplanade with harbour views, DoubleTree by Hilton Darwin is close to great shopping, dining and entertainment opportunities, popular tourist attractions and famous historical landmarks. 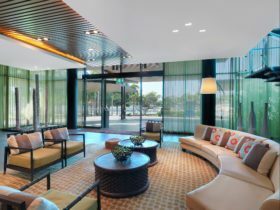 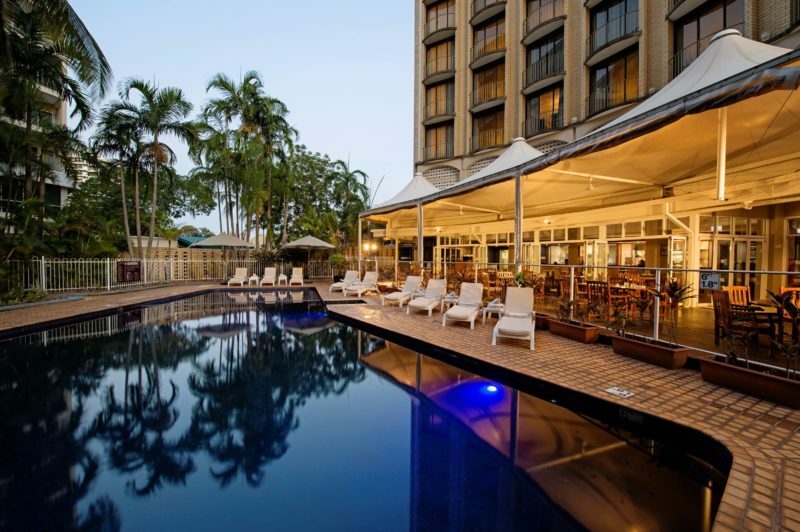 The hotel is also within walking distance of all major corporations and government offices in the city, and offers easy access to Darwin International Airport, just 15 minutes’ drive away. 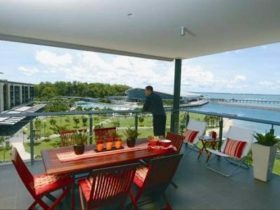 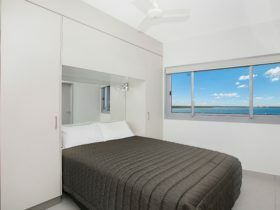 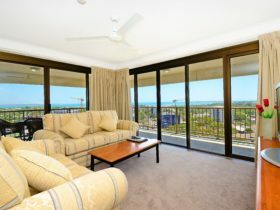 Darwin’s tourism is seasonal and therefore hotel prices are subject to fluctuation. 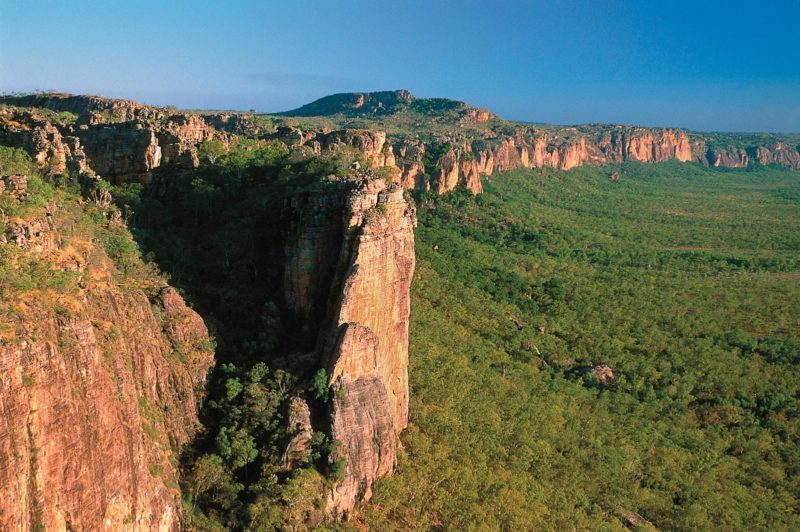 Generally speaking, peak season is during the Dry Season (typically May – September).